Hakkında: Cooliris/Piclens on your Piwigo! 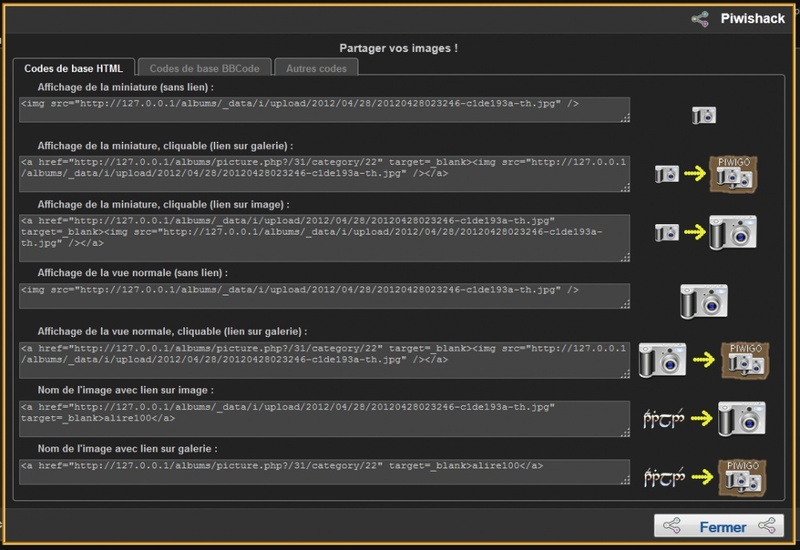 Hakkında: Piwishack provides codes for integration of thumbnails, images and/or links in a forum, a site or a blog. Codes are displayed in a popup window, with a sheet for HTML code, a sheet for BBcode and a sheet with specific codes (can be customised by the administrator). Hakkında: Thème globalement dépouillé, foncé. Hakkında: Allows to improve the recognition of your gallery in Facebook when in this Community site you add a link towards your gallery (or your images). 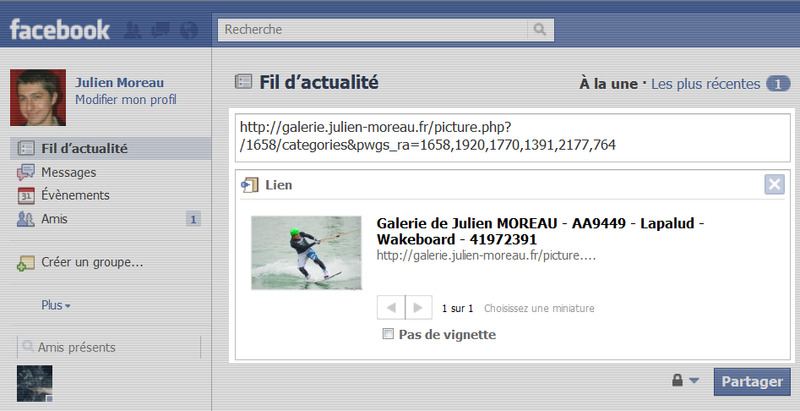 Değişiklikler: First version of this plugin completely passive which will allow, when you add a bond towards your gallery on the Facebook network, of facility the collection of information and thus as well as possible to present your gallery. Değişiklikler: Reprise totale du code source. 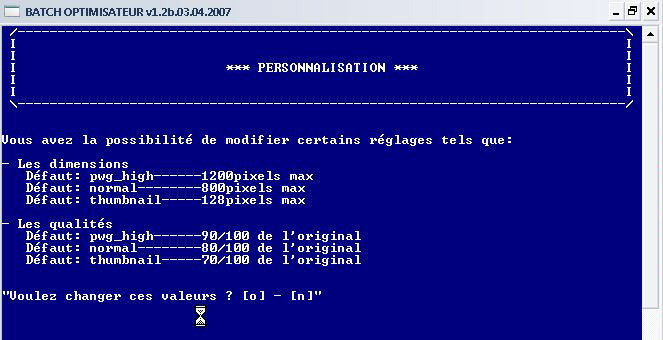 Améliorations, corrections de bug, code source visible et désormais, les anti-virus ne détectent plus Batch_Optimisateur comme un virus !